The Timberwolves are locked and loaded and are ready to make some noise in the Western Conference. Led by a highly talented young core, Minnesota is poised to make their mark on the NBA and take control of the Northwest division. Division rivals, the Portland Trail Blazers and the Oklahoma City Thunder will fight to stand in the Wolves way. This young team is capable of putting on a show at any point of the season. Get your Minnesota Timberwolves tickets and head out to the Target Center to help lead your team to victory. The Minnesota Timberwolves have their work cut out this season as they just had a very exciting season. The Timberwolves qualified for the playoffs for the first time since 2004. They finished the regular season 47-35 which placed them fourth in the Northwest Division. In the First Round of the playoffs the Timberwolves fell to the Houston Rockets, losing the series 4-1. The Wolves will give it a good go this term and you can watch them do that with your Minnesota Timberwolves tickets. They have their goals aimed at making it further in the playoffs this season. The Minnesota Timberwolves fans have had plenty of moments to cheer about over the years and here are two of those. The Arrival of Kevin Garnett- Leading up to the mid 1990s was not a good time to be a fan of the Minnesota Timberwolves. They were struggling and then it all changed when they decided to take a punt on a young 18 year old Kevin Garnett in 1995. Garnett led the franchise to its most successful time in history, almost all on his own. He left the Wolves in 2007 but not before becoming their all time leader in almost every major category. The Wolves took a big risk when they signed Garnett but he proved that it was a very good decision. The Epic 2003-2004 Season- The Minnesota Timberwolves clinched their first and only division championship to date that season. Then they entered the playoffs and it turned out to be one unforgettable adventure. They met the Denver Nuggets in the first round and came out on top 4-1 to clinch their first ever postseason series triumph. The Wolves then went head to head with the Sacramento Kings in the Conference semifinals. The series was tied at three wins apiece and it was all to play for in Game 7 at the Target Center on May 19, 2004. It was a humdinger of a clash which ended with the Wolves winning 83-80 to seal their first appearance in the Conference Finals. They lost to the Lakers in the Conference Finals 4-2 but it was still a season that the Wolves fans will remember forever. Milwaukee Bucks - The rivalry between the Minnesota Timberwolves and the Milwaukee Bucks is because of the geographical location of the two cities. The Bucks are a Wisconsin-based side and so it is natural that there will be a lot of heat between these two sides. The animosity between Wisconsin and Minnesota sides is not only restricted to the NBA though. Just take a look at the Vikings-Packers and Brewers-Twins rivalries. There is nothing to choose between the Wolves and the Bucks if you look at their recent records. The head-to-head record stands at 5-5 between them since the 2012-2013 campaign. Expect more fireworks when the Wolves and the Bucks meet next. Cleveland Cavaliers - The rivalry between the Minnesota Timberwolves and the Cleveland Cavaliers is a more recent one. It all kicked off between these two sides when Kevin Love left the Wolves, not on good terms, to make the move to the Cavaliers in 2014. The Wolves received Anthony Bennett and Andrew Wiggins as part of the deal. So, since then whenever these two sides have met, the atmosphere has always been quite heated. To see the two clash get your Timberwolves tickets here. Target Center is located in the heart of Minneapolis’ vibrant downtown Warehouse and Entertainment District. The arena is surrounded by fantastic restaurants, bars, shopping, hotels, nightlife, theaters, and clubs. Access to and from the arena is made easier by Minnesota's Skyway system. Going out for Timberwolves games makes for a great night out. The Target Center opened its doors on October 13, 1990 and the Minnesota Timberwolves have been based there since that year. Apart from Wolves games, the arena also played host to the NBA All-Star Game in 1994 and the NBA Draft of 2000. Not only that, but the Target Center was also the venue for the 2011 WNBA Finals. The arena has also been host to different WWE and UFC events over the years. Music superstars like Garth Brooks, Elton John, Billy Joel and Paul McCartney among others have also stepped on to the stage at the Target Center to perform for their fans. Some big names have represented the Minnesota Timberwolves over the years and Kevin Garnett without a doubt tops that list of stars. He played in Minnesota between 1995 and 2007 and won ten of his fifteen All-Star selections as a Wolf. Garnett also won an NBA MVP Award, the NBA All-Star MVP Award and three All-NBA First Team selections as part of the Minnesota Timberwolves. Kevin Love became the Minnesota Timberwolves’ main man after Garnett and stayed with them till 2014. He won three NBA All-Star picks in Milwaukee and was the NBA Three-Point Shootout champion in 2012. Lovingly called “Googs”, Tom Gugliotta was a part of the Minnesota Timberwolves from 1995 till 1998. He earned his solitary NBA All-Star selection in Minnesota in 1997. He was a very dependable scorer and the fans loved him. The Minnesota Timberwolves have put together a pretty good roster for the 2018-2019 season. If they play to their potential, then the team could make it to the playoffs for the second year in a row. Either way, it promises to be a fascinating campaign. Regular tickets and Minnesota Timberwolves season tickets are on sale for fans who want to see their team live in action. Our process for purchasing cheap Minnesota Timberwolves tickets is simple and fast. There are so many online ticketing sites, that it can be hard for customers to find the right place to buy Minnesota Timberwolves tickets at the cheapest price. At ScoreBig we think of our customers first and foremost. We offer daily deals for Minnesota Timberwolves events, so our customers can get the best seats for the best prices. ScoreBig will always go above and beyond to offer the cheapest Minnesota Timberwolves tickets on the market. The Minnesota Timberwolves schedule above, displays all available events for 2019 and 2020. Once you find the event that you would like to go to, click the red “Get Tickets” button. It is located on the right-hand side of the event listing, it will take you to an Minnesota Timberwolves event ticket page. ScoreBig's event ticket page will display all available Minnesota Timberwolves tickets for that event. 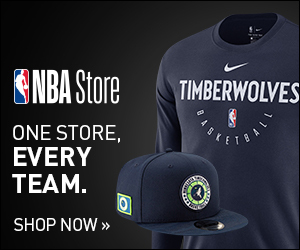 On the event ticket page to help with your search for the right Minnesota Timberwolves tickets, use the filters at the top to select quantity, price range, and more. There is also an interactive seating chart so you can pick where you want to sit. When you are ready to buy a ticket, click on the listing, and you will be directed to ScoreBig's checkout page. Upon completion of the information fields, your order will be processed and your Minnesota Timberwolves tickets will be delivered via email, mail, or to your mobile device. What makes ScoreBig’s site stand out from the rest? We are constantly analyzing our competitors to improve our site, service, and prices. ScoreBig.com employees strive to offer the best process and experience to buy cheap Minnesota Timberwolves tickets. Our goal is to get you the best seats to Minnesota Timberwolves events. We offer daily discounts on our site and for special promotions check out our newsletter. If there are no Minnesota Timberwolves events currently available, you can use our search feature at the top of the page to see a list of all popular events going on near you. No matter your price point, we have all the best deals and discounts on Minnesota Timberwolves tickets. For more information on prices of Minnesota Timberwolves tickets and the schedule for Minnesota Timberwolves, check out our listings above. The last thing you want to find out is when the Minnesota Timberwolves event you wanted to go to is sold-out. Don’t worry in many cases ScoreBig has affordable tickets to sold out events. We sell tickets from GA all the way to premium seating and parking. Skip the scalpers in the parking lot and get your tickets online from top Minnesota Timberwolves ticket brokers. We get you in all events, buy your Minnesota Timberwolves tickets here from a brand that many trust and rely on for all their ticketing needs. ScoreBig offers a 100% money-back guarantee. If you have been in search of cheap tickets for Minnesota Timberwolves, ScoreBig by far is the best option. That’s why ScoreBig has more loyal customers than any other ticketing site. Shop at ScoreBig for safe and secure Minnesota Timberwolves event tickets.